This project seeks to help move regenerative agriculture in the state towards a tipping point through developing a model of promoting regenerative agriculture at the producer level. It will do so by working with small groups of farmers and ranchers (called “Seed Groups”) in multiple locations to collaboratively address technical obstacles and to collectively design and perform research to accurately gauge the economic and environmental benefits of regenerative agriculture. With the Seed Groups as models and guides, the project will facilitate interaction and exchange between Seed Group members and other agriculturalists in their communities. 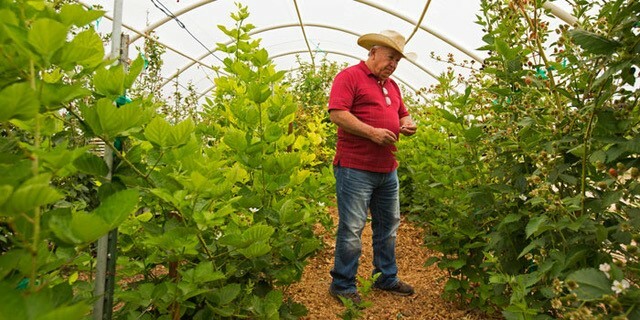 Project partners include Cruces Creatives, the New Mexico State University Institute for Sustainable Agricultural Research and Sustainable Agricultural Science Center, the MESA Project, Acequia Madre del Rio Lucero y del Arroyo Seco, Rivers & Birds, and Western Landowners Alliance.